Mashudu holds a National Diploma in Nature Conservation, an Organisational Leadership Certificate and a Hospitality Management Certificate. He is also currently completing his Btech (Hons) Degree in Nature Conservation at Tshwane University of Technology. With more than 16 years’ experience in the EE and conservation, he has a particular interest in, and passion for Education for Sustainable Development (ESD) and social change processes. 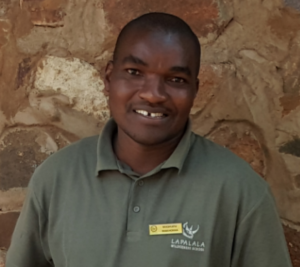 In his role at Lapalala Wilderness School he ensures the smooth operations of the school, oversees safety and security, works to deepen relationships with donors and all stakeholders, and monitors adherence to reserve policies and trade union agreements.